A new Horizon Story series is here! Available at level 60, the Skill Streak story series can be found close to the Stone Circle. Event creator Jaimin needs your help finding the answer to questions that can only be answered at the Horizon Festival. 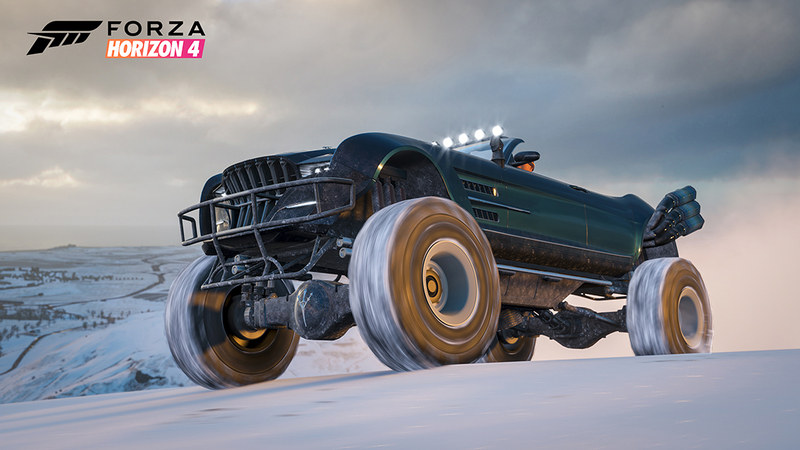 You know, questions like, “Just how fast can you drive an EB110 while NOT hitting anything?” or “How much can one hoon in a railyard?” Find out in this multi-chapter event featuring some of the hottest, hoon-ready cars in Forza Horizon 4. If you love to compete in Playground Game events, we’ve now added a new Seasonal Playground Games feature with Series 6. Previously, players could only access Playground Games events via Online Adventure or while in a Horizon Life convoy. The new Seasonal Playground Games lets players simply drive up to the events and sign up; players will be matched across the community and then can jump in and play. There’s new rewards to earn as well, including the Volkswagen Global Rallycross, the Hot Wheels Boneshaker, the Lotus 2-Eleven, and a Super Wheelspin. 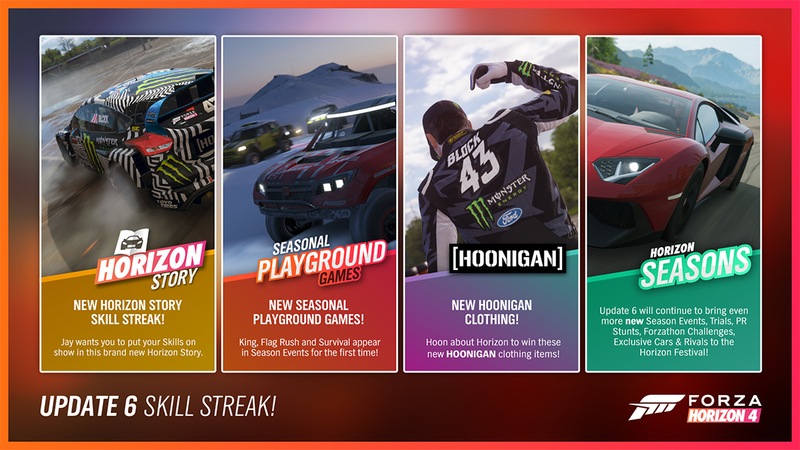 Street Scene joins the Seasonal event rotation with Street Race Seasonal Championships, offering great rewards, including Ken Block gear! 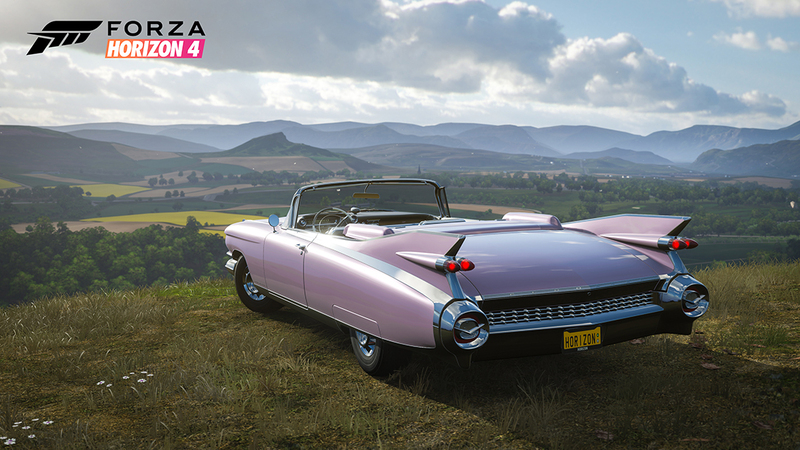 Series 6 features the final set of cars coming to the Forza Horizon 4 Car Pass and it’s a great pair of vehicles. There include the positively boat-like 1959 Cadillac Eldorado Biarritz Convertible and the return of TVR in the form of the hotly anticipated TVR Griffith. 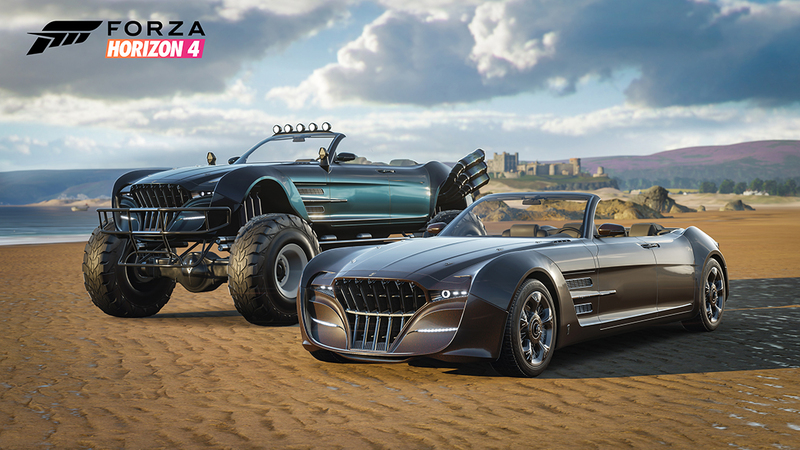 Alongside the new Car Pass cars, we’re adding new reward cars like the 2001 TVR Tuscan S and two Quartz Regalia models, including the new-to-Forza Regalia Type D. These two Final Fantasy XV vehicles will both be available to earn as gameplay rewards starting after the Summer season change on February 14. In the future players can look forward to more cars coming into Forza Horizon 4, including community favorites like the 1994 Honda Prelude Si and the 1994 Nissan Fairlady Z Version S Twin Turbo. If you want to learn more about the new features coming in Series 6, check out the replay of Playground Games’ Series 6 livestream show, which originally aired on Monday, February 11 on the Forza Mixer and Twitch channels. Alongside the new features, Series 6 features a number of improvements and fixes in the game. 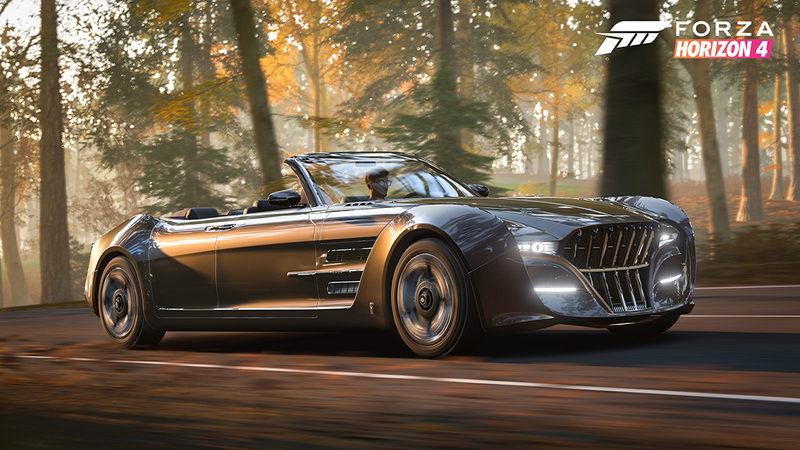 For the full list, check out the Release Notes on the Forza Support site.